Armaan Malik who seem to have earned the title of 'Teenage Pop star of India' released his debut Album titled "ARMAAN"
He came and he conquered the hearts of the nation with his enticing and melodious voice. Post creating his euphoria and making the entire nation swoon to his voice as the teenage playback singer in Salman Khan starrer blockbuster hit 'JAI HO’, the nation’s current singing sensation Armaan Malik amidst all the glitz and glamour released his debut Album titled "ARMAAN" with Universal Music as the 'Teenage Pop star of India' where he exhibited his versatility and ability to compose and write songs in various genres. After garnering humongous applaud for his melodious stint in Jai Ho his soothing voice fetched him his recently released track 'Naina' from Khoobsurat starring Sonam Kapoor & Pakistani Star Fawad Khan is already making waves among the fans and critics alike and has already made it to the Top 10 on the iTunes Top 100 in India. Setting the tone Armaan Malik Armaan is now all ready with the Music Video of his second single titled "Leja Zakhm Tere" to be released on 30th September from his album which is the most popular track amongst his fans already that are eagerly waiting for its release! In order to capture every essence the song and has been shot in scenic desert locations in Dubai to give it a feel of loneliness and pain. 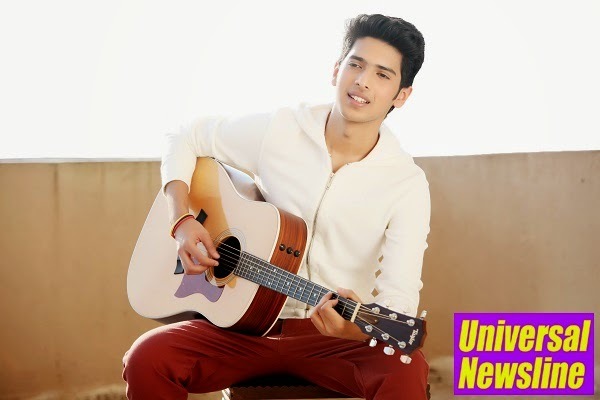 Exploring various exotic locations the video was shot along the way while Armaan toured UAE for live shows. It’s more like his journey with the song and it depicts his feelings and emotions.